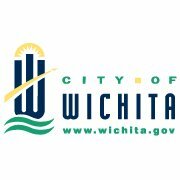 Wichita officials are reporting good results from changes that were made last summer on West Kellogg, and work begins in April to make those changes permanent. For a six-month trial period, the city removed a traffic signal at Kellogg and 111th Street West, and closed off access to Kellogg at 111th. City engineer Gary Janzen said the removal of the signal did not cause an increase in accidents at 119th Street West, and traffic has been moving through that area more smoothly. He said drivers have been able to use frontage roads to get to businesses along Kellogg. The project to make the traffic changes permanent will cost a little over $1.2 million and it will take about two months to complete.